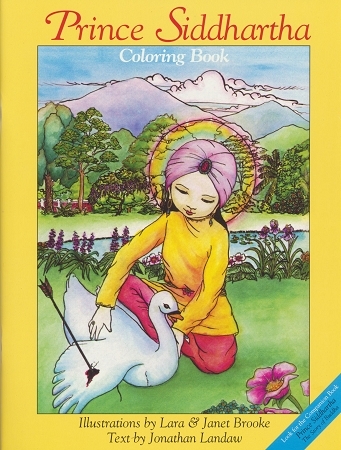 A wonderful companion to the Prince Siddhartha story book, this children's coloring book includes 31 full-size and 31 miniature line drawings with narrative descriptions. The Prince Siddhartha story book tells of how the prince became a Buddha, the Awakened One. The Buddha s message of nonviolence, loving-kindness, and unselfishness is vitally necessary for today's-and tomorrow's-children.